For new parents, a baby stroller is one of the most important purchases you will make for the first few years of your child’s life. It is basically how your child we get around until it is old enough to walk long distances on their own, perhaps 3 or 4 years old, and some parents still use them with older children when they are walking long distances. As this is such an essential piece of baby equipment, you really need to get the best one you can for your little one. The Chicco baby brand make some of the best an most durable baby strollers on the market, and if your looking to buy chicco stroller, we’ve made this handy review to help you compare Chicco strollers make your choice. 13 Why Chose Chicco Baby strollers? 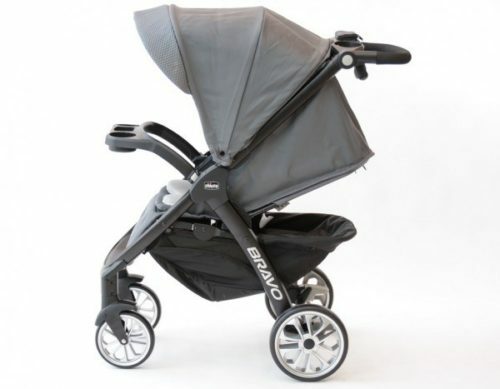 When it comes to versatility and functionality, its hard to find a better stroller that the Chicco Bravo. This chicco baby stroller can be used in 3 different modes – lightweight infant carrier, travel system and full feature toddler stroller, so you will be using it for years and years to come. And they will love riding in this, as its comfortable and adjustable seats will make them feel like little kings and queens. It also features removable seat for easy transformation into a stylish frame carrier compatible with the Chicco KeyFit 30 infant car seat. This is also very safe, as it has a one-hand fold, auto-positioning wheels and a self-standing compact folded position. Modern life is tough, and for moms and dads who want a stroller that can easily adapt to whatever it is they are up to, this is a great choice all round. This brilliant Chicco pram is a great choice for modern parents with busy lives. 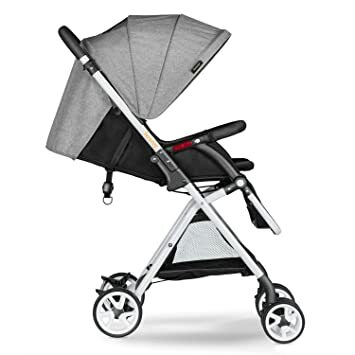 It has 4 different adjustable postilions for its back rest, so baby can sit upright or snooze on their backs depending on how they feel, and a detachable canopy to protect from the sun. It also has great suspension for smooth walks, and very responsive foot breaks. Best of all, this folds away very easily to make it quite compact, so you can throw it in the trunk of the car with no problems whatsoever. This is definitely one of our favorite Chicco baby strollers. 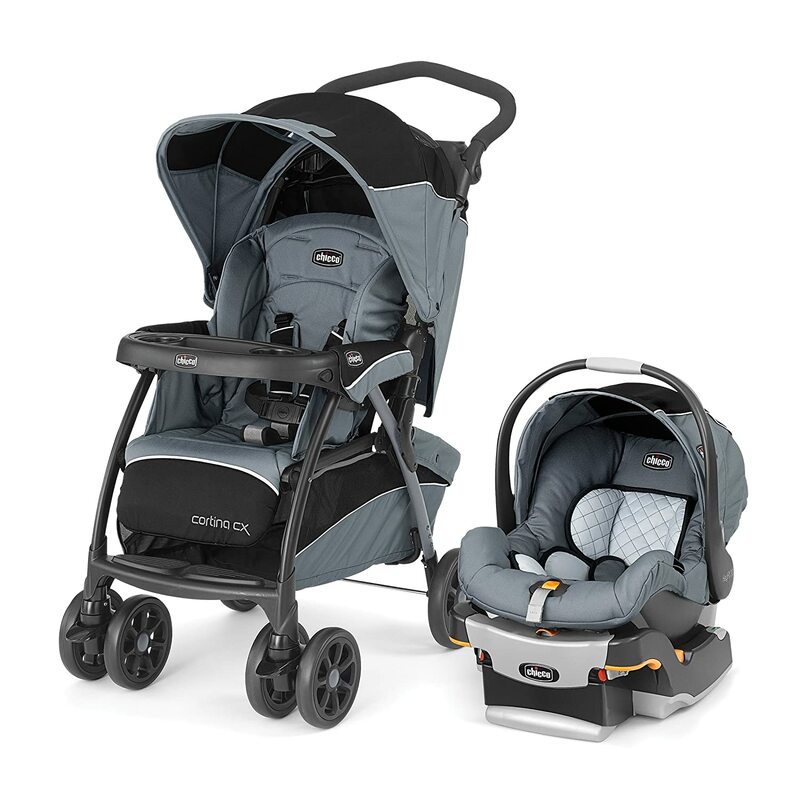 If you are looking for a comprehensive chicco travel system to last from newborns through toddler-hood, the Chicco Cortina will do that in comfort and style. 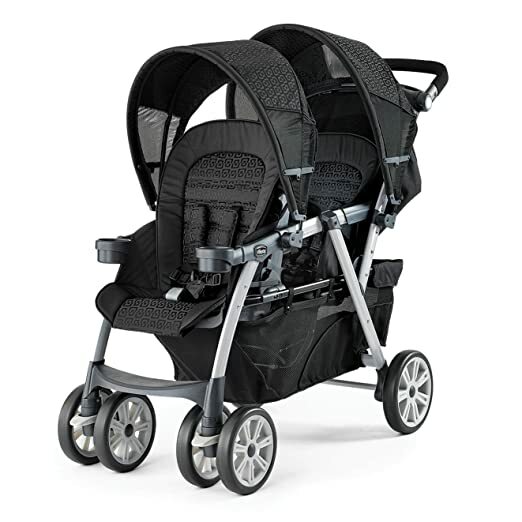 This comes with a stroller, a Keyfit 30 car seat and base, so this will take care of all your stroller needs. The stroller itself is of very high quality, and with an adjustable seat, canopy, large storage basket and 5 point safety harnes, this ticks all the boxes we have for a chicco keyfit travel system. 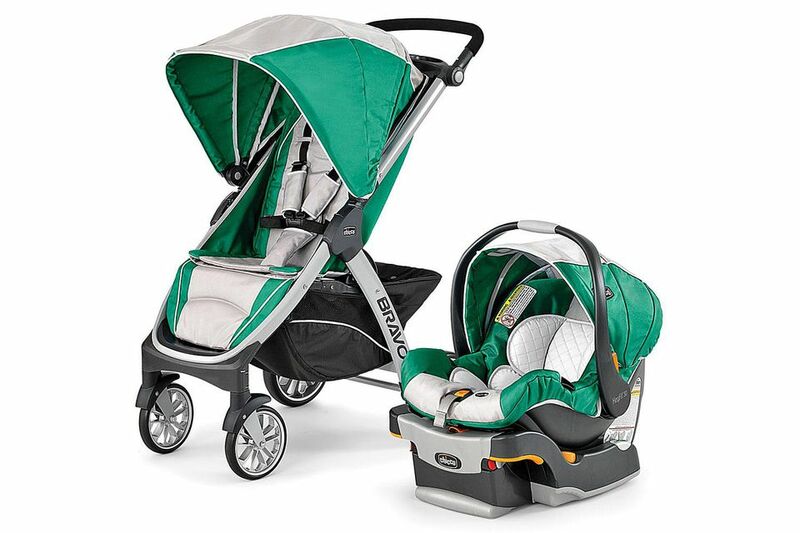 Babies and parents will both love this chicco car seat stroller combo. This includes the Keyfit 30 Infant car seat with the stroller, and best of all, once the baby gets too big for the car seat, they can still ride around in the stroller, which is good for children weighing up to 50lbs. His comes packed with modern practical functions and features like an adjustable, removable canopy,height-adjustable push-handle, parent tray with storage and cup holders, all-wheel suspension and linked rear brakes, so it is both safe and versatile. 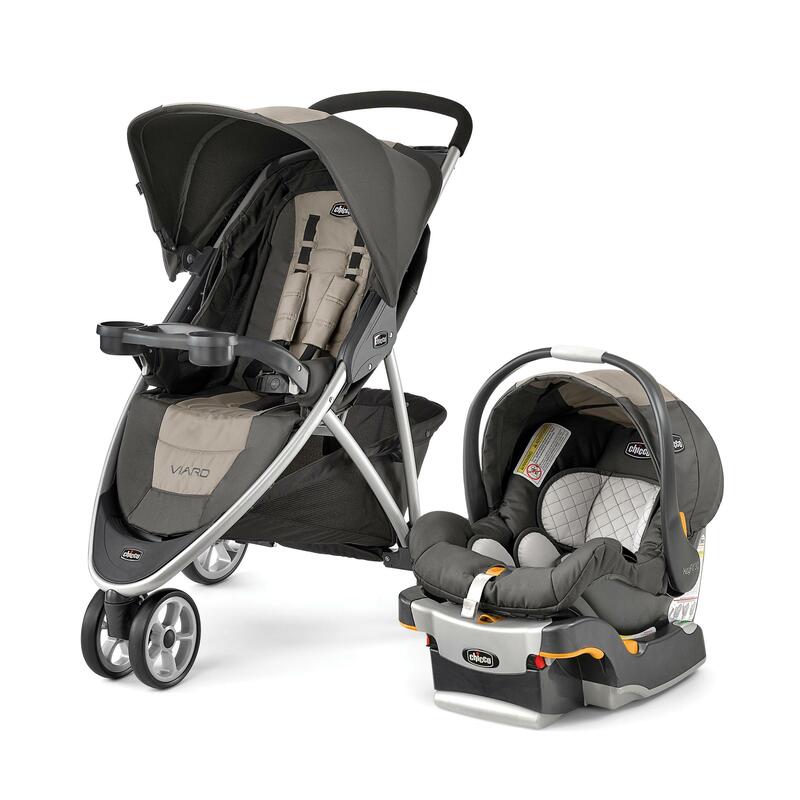 Be in style and comfort with this awesome chicco car seat and stroller set. 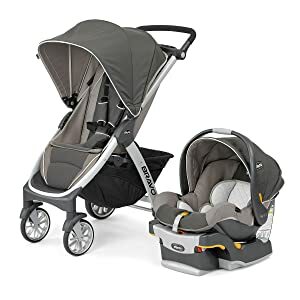 This awesome chicco carseat and stroller set comes with a great Vario jogging stroller and a Keyfit baby car seat, which easily clips in and out of the stroller. Packing up is a simple snap with the, as its very light, so its a piece of cake to fold it up when you’re on the move. We recommend this for parents with busy schedules who like to take their kids with them, as its so nimble and easy to push that it makes a great choice for use in busy places, like the shopping mall, grocery stores, or even on public transport. 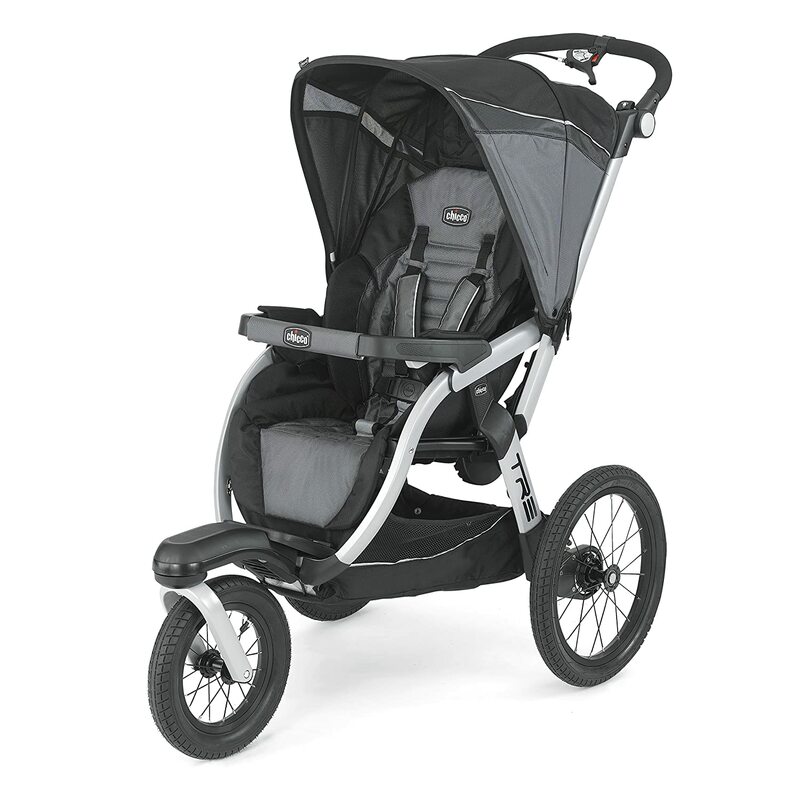 Looking for a jogging stroller compatible with chicco keyfit 30 baby seat? We may have found the right one for you! This cool jogging pram will be great for sport moms and dads, or those who live downtown and have to navigate complex urban areas with their child. And its stylish green color definitely doesn’t hurt! This is great for accommodating children from 6 months old through 50 lbs, who will be very safe from rain and splashes under the waterproof covers and canopy. This great Chicco jogging stroller is designed for life on the go, and is made to be easily pushed with one hand. Its got a lightweight but strong aluminum frame, which is durable yet sleek, making it brilliant for brisk walks, jogs and sporty parents. It also folds over for easier transport. This also has great storage options, with a good storage compartment underneath for your bags, diapers, bottles and anything else you’ll need for your baby. We also really love how this is set up with cup holders for parents and kids, but if you are going to get a Starbucks on your walk, remember that even the coolest babies are still way too young to drink coffee. This sport stroller is great for energetic parents with energetic lives. Athletic parents don’t have to be housebound, as they can take their little ones out for long walks or jobs with this funky stroller. Specially made for children starting at six months up until they weigh fifty pounds, this jogging stroller will keep them keep them safe from rain with its water proof fabrics and soft padding. Its sixteen inch durable tires and responsive hand brakes make this stylish buggy a great consideration for parents who live life in the fast lane. What is really practical and great about this lite way stroller is that it is fully compatible with Chicco Kefit baby seats. All you need to do is pop down the seat on the stroller and clip in the baby seat. Even when your baby outgrows the Chicco car seat, you can still use the stroller with them. So this is very practical and very good value for money. If you’ve got twins or two young children and you’re looking for a chicco pram a for both these little ones, this great double stroller will be great for you. Travel with more than one baby is easier than ever before with this great double stroller, as its light tubing make it both durable and easy to carry. It also has lots of great features including adjustable covers and canopies, arm bars and cup holders, a generous storage compartment, cup holders and much more. This really is top of the line. With dual front wheels with suspension and locking swivels, reclining double seats, mesh storage baskets and compact fold and carry handle for easy travel and storage, this great twin stroller will be ideal for large families. We also love that the rear canopy panels zip off to allow extra air flow, so you can give your kids some extra ventilation if they need it. Why Chose Chicco Baby strollers? There’s a lot of baby strollers on the market out there, with some ranging from many hundreds of dollars to some cheap budget ones. Its often hard to know which to choose, and in this case, its sometimes good to go with a well known and established brand so you can be sure that you are buying quality. Chicco is a great brand, and its prices sit comfortably in the middle of the range. You can put your trust in a chicco, as these are all very well made and well designed with parents and babies in mind. They are also constantly innovating and bringing out new models, add they take into account all features including safety, storage and convenience. Chicco strollers are also known for being a bit less bulk than other baby strollers, especially chicco travel systems, so they can be both easier to maneuver and also easier to fit in your car or fold up into storage, which is always a big bonus. One of the big questions we have been getting from a lot of parents is whether or not they should get a Chicco or a Graco baby stroller or travel system, as these are some of the most well known brands that make baby products. Both are excellent brands that make some really great baby strollers, and we’ve seen a lot of back and forth arguments on internet forums between parents, some who are Chicco fans, and some who love Graco. The truth is it is really hard to make a clear distinction between the two, as they are both really good, but we have heard that Chicco strollers are easier to use, fold down etc. But it is all up to you, the parents, at the end of the day. If you are really having a hard time deciding, we recommend going into a baby store and checking them both out in person and decide which one you want. But don’t be pressured into buying one at the store if you don’t want to. You can always find a better deal online. But the good thing is that whichever you pick, you’ll be getting a great stroller. 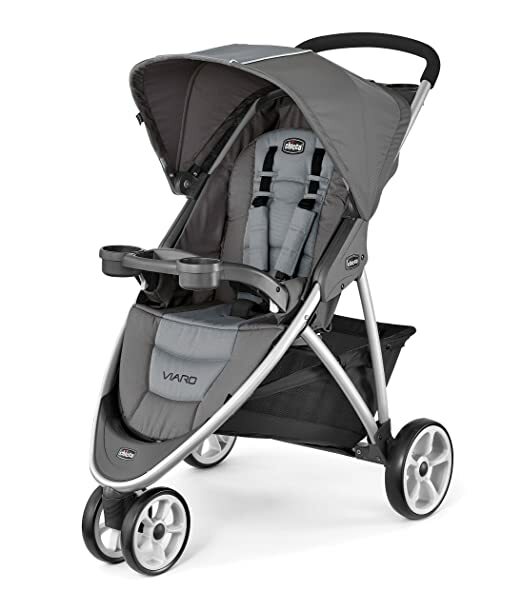 Chicco Standard strollers come in many different shapes and sizes, but they should always have a comfortable, padded baby seat that can recline, and a sun shade. Some modern models have lots of storage under the seat, and can even change their orientation to the baby can face forward or face their parents. Baby Seat Strollers are lightweight strollers that have a detachable baby seat. Pop the base off and simply strap the seat into your car, while the frame folds up nicely in the trunk. These are great value for money, but unforgettably are not much use once baby gets too big for the car seat. 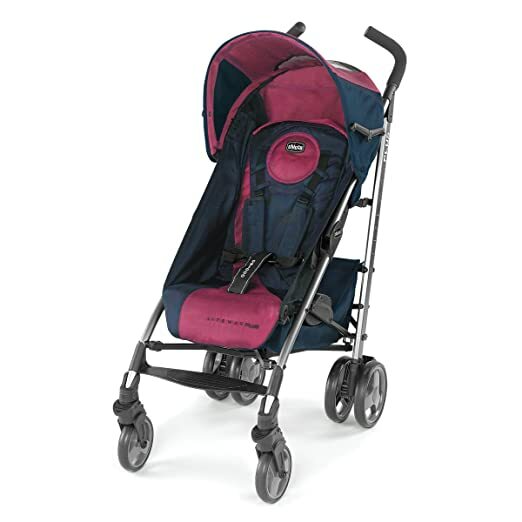 Chicco Lightweight strollers, sometimes called umbrella strollers, are compact, light, and fold up very easily. They are quite striped down, usually with less padding, functions and reclining, so they are better for toddlers and older babies. Because they are light and potable, they are great for taking on long journeys or holidays. 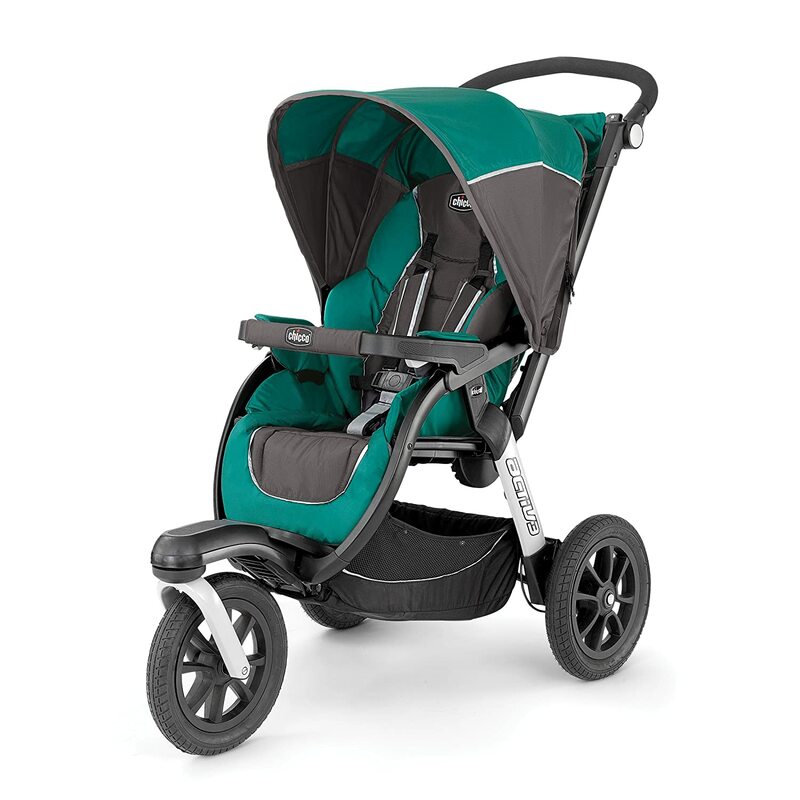 Chicco Jogging Strollers have three big wheels, making them great for smooth rides for babies. As their name suggests, they are good for jogging or long walks. They are also great for urban neighborhoods, as they can easily get up steep slopes and curbs. How ever, they are a bit bulky, so harder to fit into elevators and such, and they don’t usually fold up much. 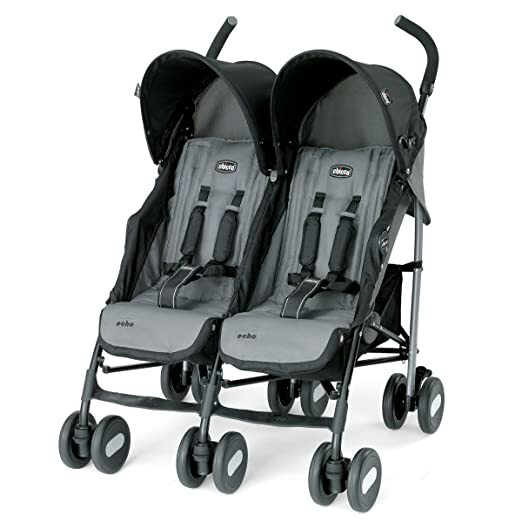 Chicco Double or Triple strollers have more than one seat so more than one kid can kid in them at the same time. Sometimes the seats are side by side, while some have seats one behind the other. Some standard strollers come with a platform at the back so another additional seat can be attached, too. These are great for large families and essential for twins. We recommend you only buy strollers which have been certified by the Juvenile Products Manufacturers Association (JPMA). Frame: Make sure your the frame of the stroller securely locks into the position you want it in. This will make sure that it won’t collapse when your precious little once is sitting in it. Also look out for sharp edges and protrusions which might hurt delicate little hands. Harness: A harness is an absolute MUST for any baby stroller as your child needs to be secure while inside. We think that 5 point harness are the safest, and the buckle should be secure enough to hold fast but also easy for mom or dad to unbuckle. Adjustable seats: Newborns will not have the neck and muscle strength to sit upright, so it is essential that the stroller can recline all the way back for babies until they are at least 6 months old. Even for older kids and toddlers, being able to recline the seat will be wonderful for when they are napping. Brakes: all strollers must have either foot or hand breaks. You really want to make sure that these are balances well so they are firm and secure but also so that you can use them easily. Also, think about what kind of shoes you will be wearing when you take the baby out. Will the break be ok to use when you are wearing open top shoes? Shade/Canopy: Your stroller should have a good sun shade or canopy that can be extended to protect your child from getting too hot or sunburned. We also recommend looking for strollers with canopies that block UV rays, too. Washable surfaces – as all young parents know, where ever your child goes, mess will always be following closely behind, so you want something that is easy to wash. Generally, surfaces should be able to be wiped clean, and any fabrics should be detachable. Storage – There’s a lot of stuff you’ll need to take with you when your out with the baby, such as diapers, bottles, wipes and blankets. Your stroller should have adequate storage space for all that, as you don’t want to have to worry about carrying round a bag as well. 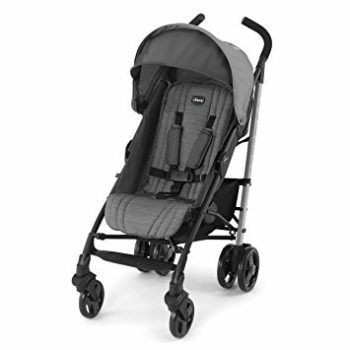 Handle Height – Most strollers are made with the height of the average woman in mind (sorry dads) , and the handles should be at your waist level. If they’re not, look for something with adjustable handles. Adjustable handles might also be a good idea of your partner is taller or shorter than you.